Valtech LLC, the maker of Magna-Tiles® and Magna-Qubix®, is a family-owned company located outside of Chicago, IL. 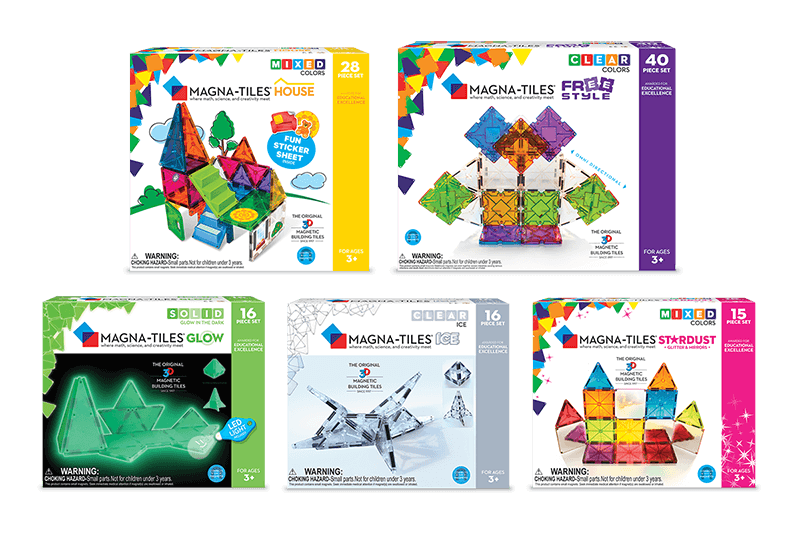 Magna-Tiles® were invented by a Japanese mathematics teacher who wanted to create a better hands-on experience when learning geometric concepts in school and at home. In 1997, Valtech introduced Magna-Tiles® to the US with the goal of building an interest in STEM subjects and inspiring the next generation of lifelong makers, creators and learners! Imaginative play meets math and science. Valtech is always looking for new ways to engage children of all ages. That’s why they’ve continued to introduce new products, including the launch of Magna-Qubix® in 2018. Valtech looks forward to continuing to bring math, science and creativity to kids across the country and beyond! Each “Magna-Click” of our durable magnetic building tiles and cubes sparks creativity in children of all ages. The secret to the power of the “click”? All Magna-Tiles® shapes have a unique ability to always attract, even when tiles are flipped. That means anything children can dream, they can build!